About 120 goats live on the Ziegenhof Blüemlisberg. The farm is located on the Engelstock LOOP trail and can be reached from the mountain station of the cableway in approx. 45 minutes. From the milk of the goats we create various products such as milk powder, butter and the delicious "geisskalt" goat milk ice-cream. 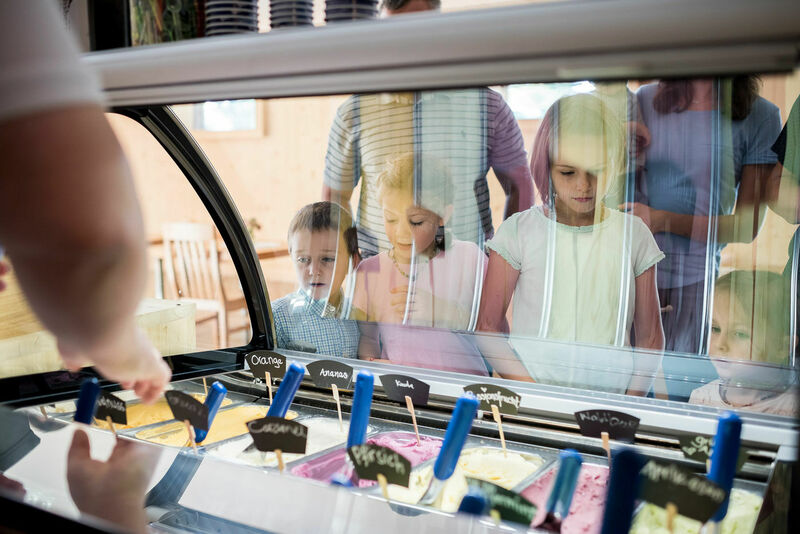 Our ice-cream parlour is an ideal spot for a restorative break from your hike. Those willing to spare 30 minutes of their time will learn a lot of interesting facts about the production of ice-cream, experience animal husbandry up close and taste goat milk ice-cream.